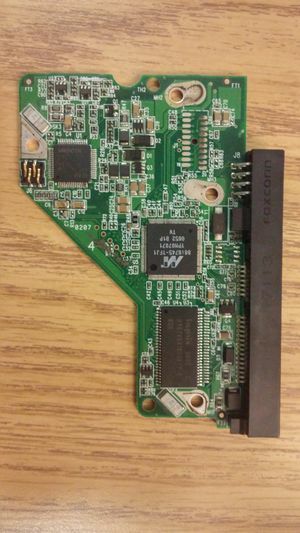 For this project, we are taking the controller board from standard hard disk drives and repurposing them as RAM. Each controller board typically has 32-64 MB of cache, used when transferring data from the disks to the computer. We are looking to repurpose that cache memory as RAM aaccessible directly by the operating system. Current Status Currently we are following a similar project undertaken on sprites mods. We have identified the JTAG pins on the controller board, we now need to solder these wires to the JTAG debugger for manual reprogramming. Updates to come soon. This page was last modified on 20 July 2017, at 17:54.